Professor Cristina Nita-Rotaru is a 2007 recipient of the Purdue Teaching for Tomorrow Award. She was nominated for the university-wide award by the College of Science due to her dedication to undergraduate teaching and mentoring. The Teaching for Tomorrow Award went to seven junior faculty members, and honored three senior faculty members. The selected junior faculty members are teamed with senior faculty members to create three groups working to enhance teaching and better learning at Purdue. The nomination process for this award includes a one-page Statement of Teaching for Tomorrow written by the nominee and a vita. In her teaching, Prof. Nita-Rotaru builds from her own experiences as a student while keeping communications open. By interacting with students and their academic advisors, Prof. Nita-Rotaru strives to provide better individual teaching and mentoring. She also develops her teaching skills by seeking the advice of her colleagues. Prof. Nita-Rotaru is active in recruitment and mentoring. She serves as an advisor for an EPICS (Engineering Projects in Community Service) team. She is also interested in increasing computer science enrollment of underrepresented students. She gets involved in recruitment and mentoring of underrepresented students by participating in the Grace Hopper Celebration of Women in Computing Conference, and serving as the co-chair of the Technical Program Committee of Indiana Conference for Women in Computing (InWIC). 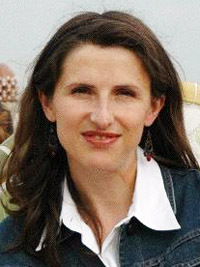 Prof. Nita-Rotaru is an assistant professor of computer science. She earned both her BS and MS in computer science from the University Politehnica of Bucharest, Romania. She then earned her MSE and PhD in computer science from Johns Hopkins University. Professor Nita-Rotaru has been at Purdue since 2003. She earned an NSF Career Award in 2006, and was awarded the Outstanding CS Faculty Involvement in EPICS award in 2006. The Purdue Teaching for Tomorrow Award assists faculty to "continually develop teaching skills that will enhance student learning." The program was established by resources provided by the classes of 1944 and 1945. Senior, resource faculty meet one-on-one with junior faculty to help them hone their teaching techniques. The three faculty teams meet together throughout the year to discuss teaching and learning philosophies. Junior faculty receive a $1000 faculty development award for their involvement with the Teaching for Tomorrow program.